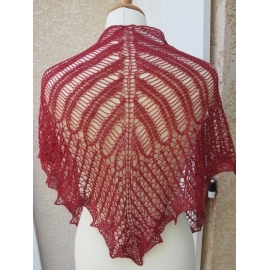 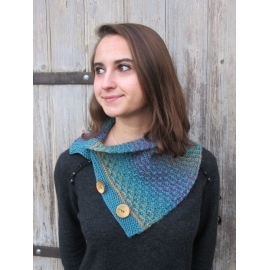 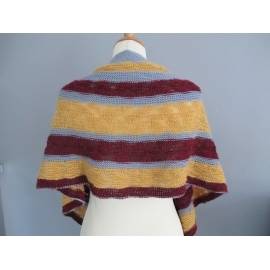 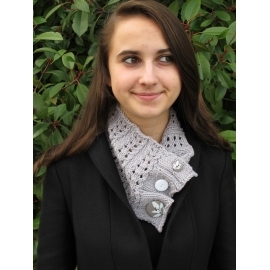 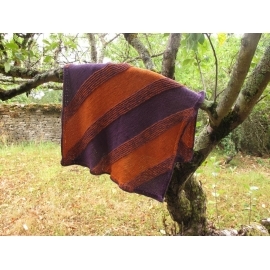 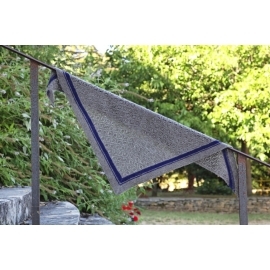 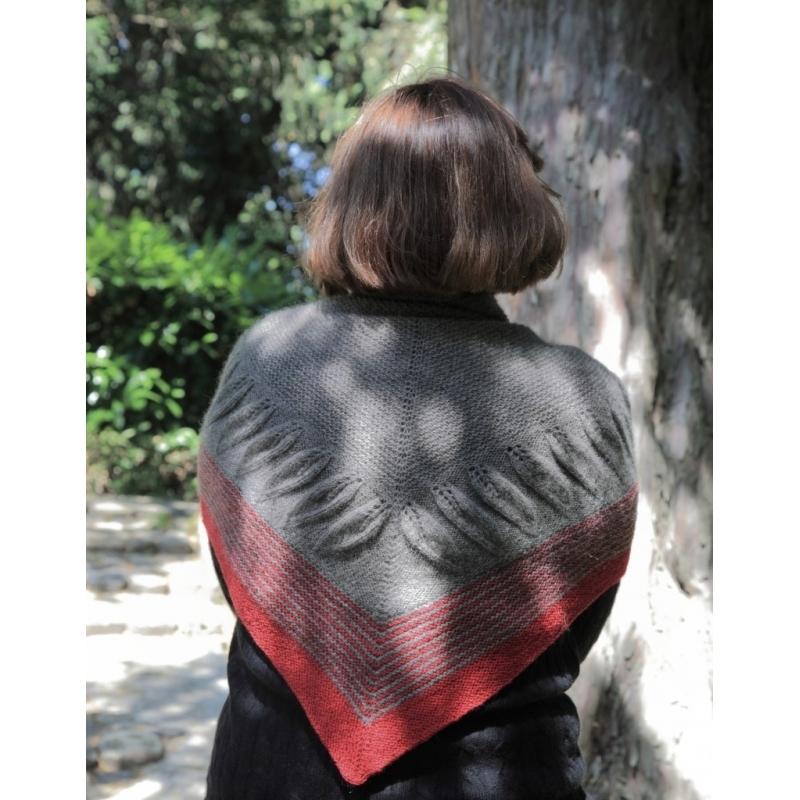 Another beautiful shawl in yak down by EclatDuSoleil ! 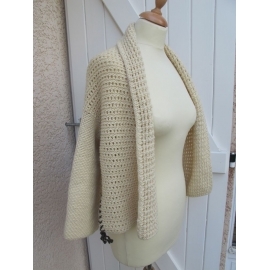 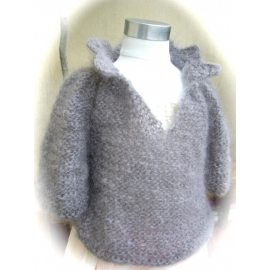 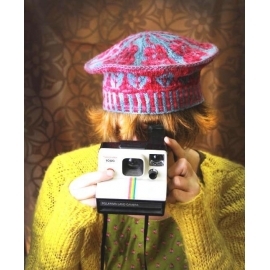 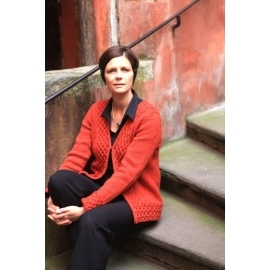 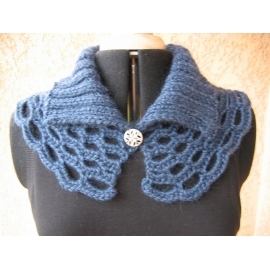 This fiber is a pure luxury to knit and to wear. 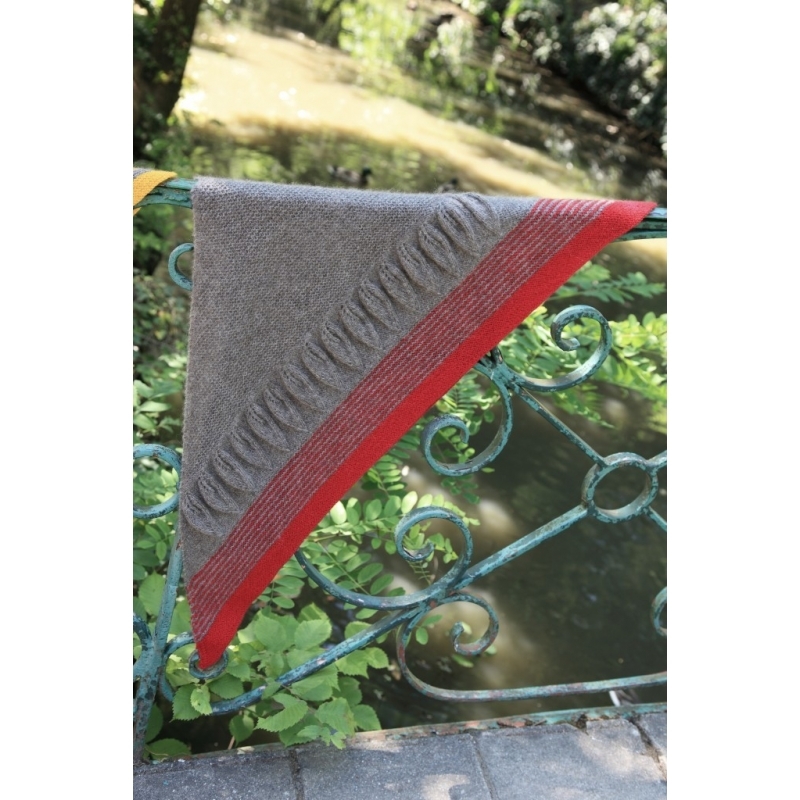 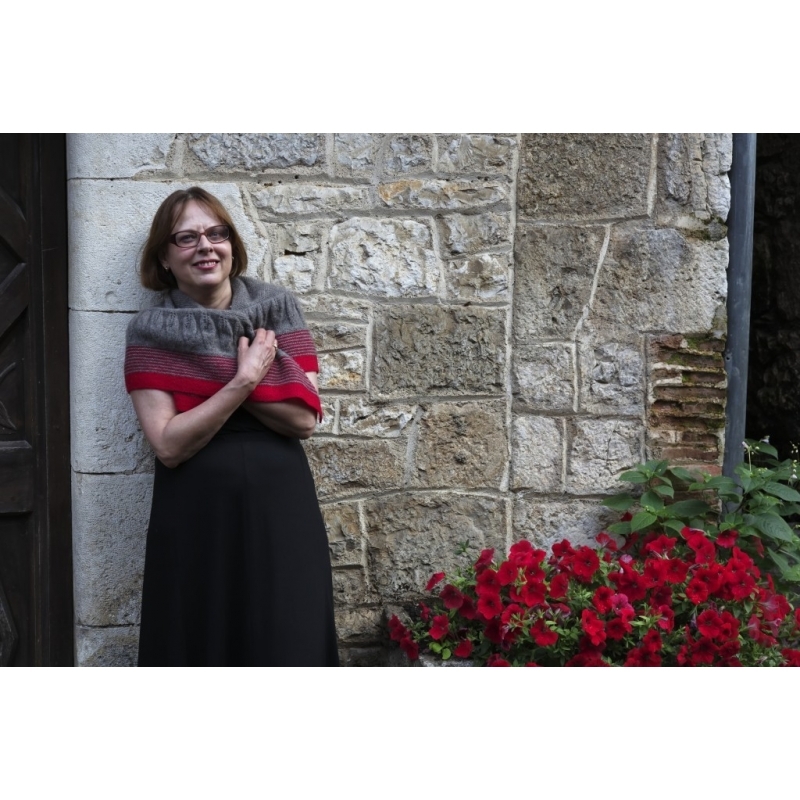 In the shawl, cozy garter stitch is combined with a distinctive, textured leaf pattern and an elegant, colour-striped border. 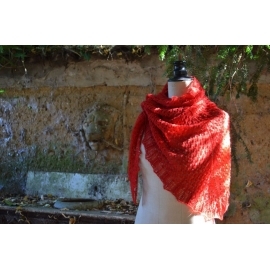 EclatDuSoleil worked her Fraternal Twin shawl using 4 balls of Gengis Khan yak down, and 30 g of laceweight wool. 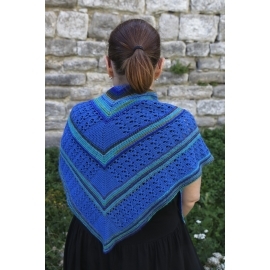 You can use this yarn combination, or try working the shawl in laceweight alpaca (perhaps adapting your needle size to this slightly fluffier yarn). 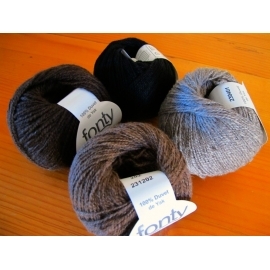 You will need approximately 500 m (550 yds) of laceweight yarn in the main colour and around 250 m (275 yds) in the contrasting colour in the border.